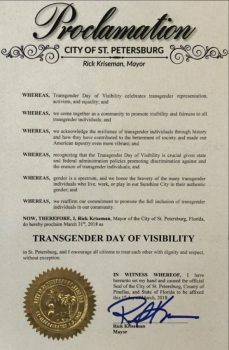 St. Petersburg | Mayor Rick Kriseman issued a proclamation on March 8 declaring March 31, 2018 as the city’s Transgender Day of Visibility. 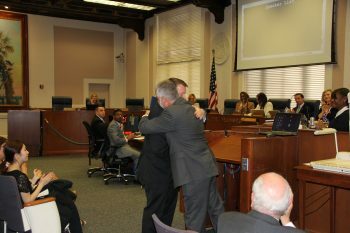 “We reaffirm our commitment to promote the full inclusion of transgender individuals in our community,” Mayor Kriseman said, addressing St. Petersburg City Council members, St. Pete Pride representatives and local community leaders. 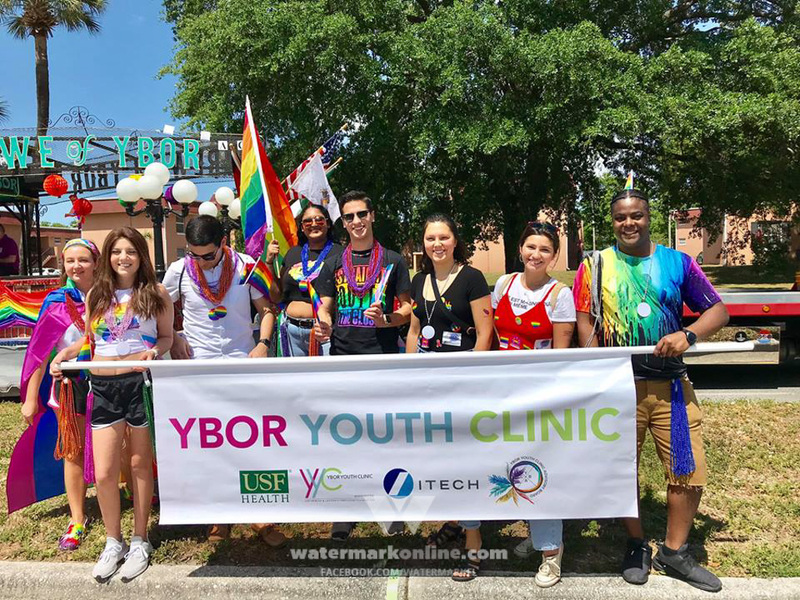 “There always comes a moment in history when a community can choose to stand in unity,” St. Pete Pride board member Nathan Bruemmer said, accepting the proclamation on behalf of the city’s transgender community. 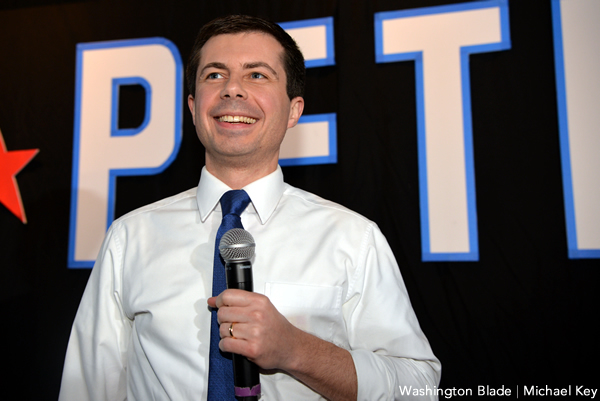 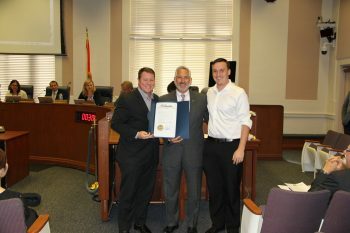 You can view the proclamation and photos from the event below via St. Pete Pride.